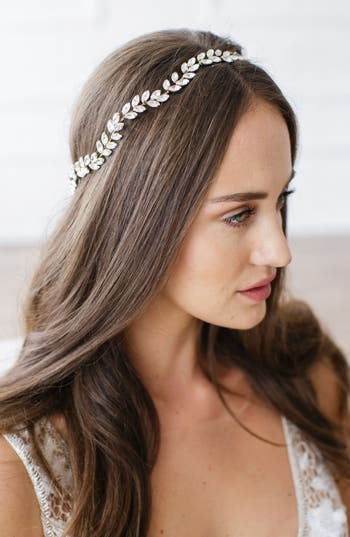 If you choose to wear a wedding hair accessory then there are a lot of them available to you nowadays. 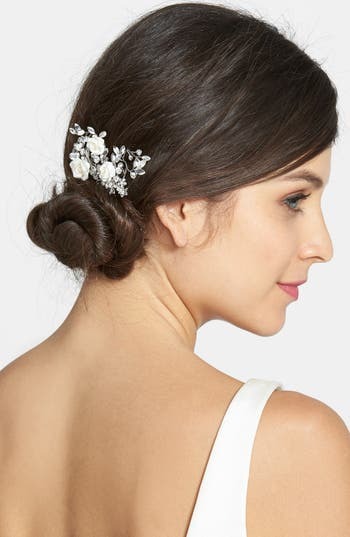 Hence, I will show you below all of the wedding hair accessories styles you can choose from. 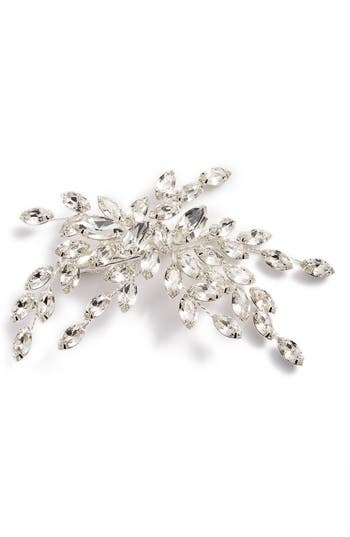 So for example, for my wedding, I chose to wear a tiara as seen in the picture above. 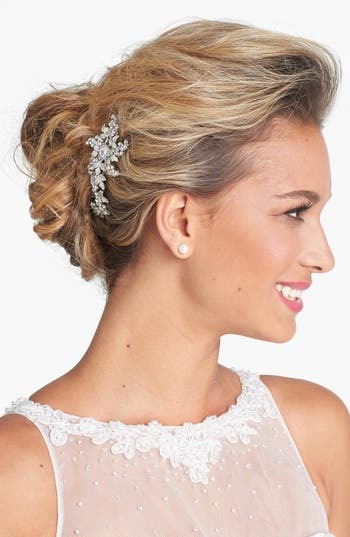 I got it at the same bridal salon, Pebbles Bridal, where I purchased my short veil and wedding dress. I recently wrote about different veils styles available to you in case you want to check it out here. 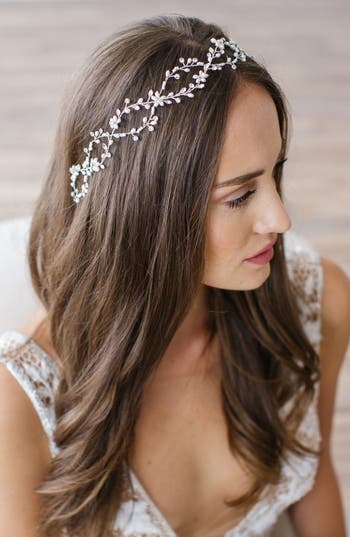 Here are beautiful headbands and halo with sash as an example. They are from Nordstrom. If you like them, you can click on either picture below so that you can learn more about them. Here are beautiful side hair combs as an example. They are from Nordstrom. If you like them, you can click on either picture below so that you can learn more about them. 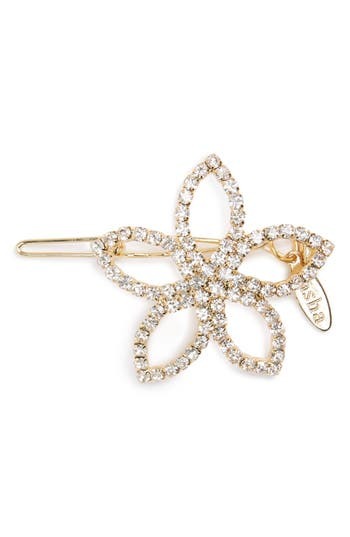 Here are beautiful hair pins as an example. They are from Nordstrom. If you like them, you can click on either picture below so that you can learn more about them. 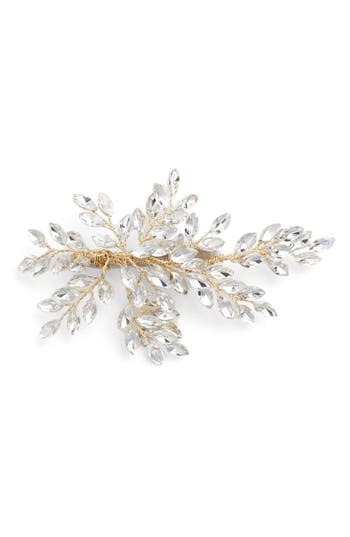 Here are beautiful hair clips as an example. They are from Nordstrom. If you like them, you can click on either picture below so that you can learn more about them. 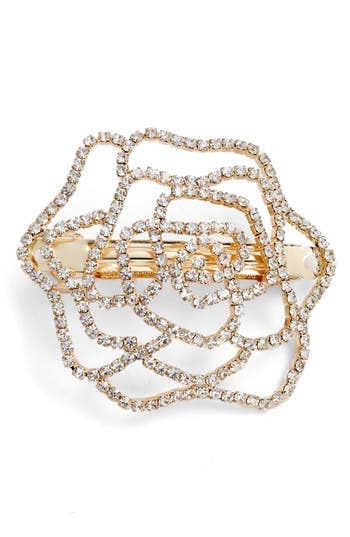 Here are beautiful hair barrettes as an example. They are from Nordstrom. If you like them, you can click on either picture below so that you can learn more about them. Here are beautiful hair vines as an example. They are from Amazon and are budget friendly. If you like them, you can click on either picture below so that you can learn more about them. Here are beautiful tiaras as an example. They are from Amazon and are budget friendly. If you like them, you can click on either picture below so that you can learn more about them. 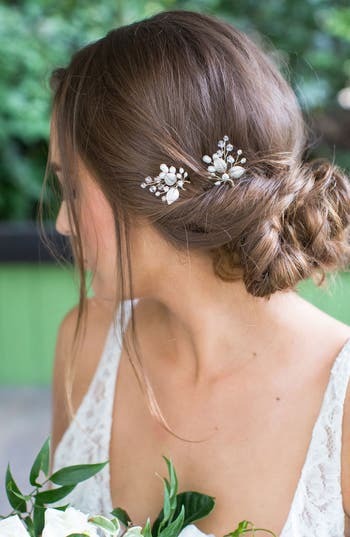 I hope you enjoyed this recap of different wedding hair accessories styles of hair accessories so you have options for your wedding. Forums. So if you have a question or advice for me or fellow community members then please join the forum. In addition, if you know someone who would love to be part of our community, please let them know. Moreover, the forum has a few topics to choose from. This post contains affiliate links. For more information then please click here – Disclosures.